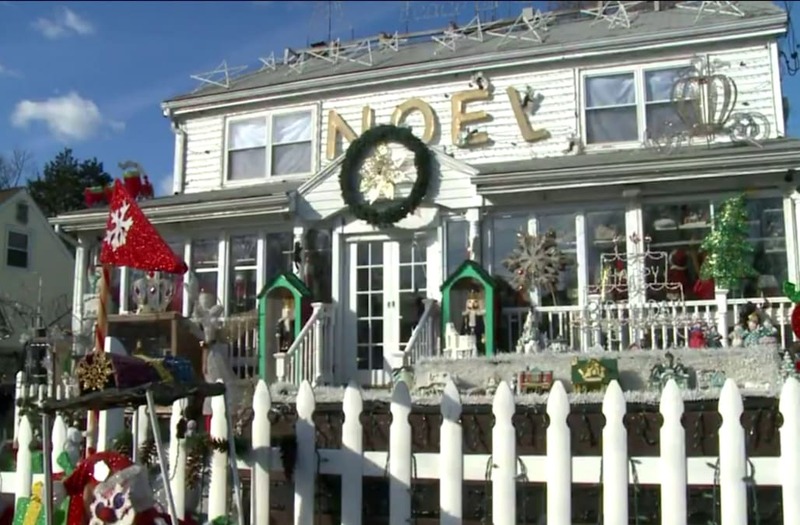 FAIRFIELD (WTIC) -- A long-time Christmas lights display at a Fairfield home has neighbors running out of patience. The light display is called Wonderland at Roseville, as in Roseville Terrace. This neighborhood sees over 30,000 visitors during the holiday season, which causes parking problems. So, 45 residents of Sawyer Road, which connects to Roseville Terrace, have signed a petition. "They are requesting some sort of action from the town to minimize the impact to the community," said Lt. Robert Kalamaras of the Fairfield police. Police have posted signage permitting parking on only one side of the street during evenings through the holidays. "We are going to increase patrols," said Kalamaras. "We have the traffic unit that will go out there and assist with traffic on the high-volume days." The Halliwell family, who built the display to over 350,000 lights over 18 years, is also working to appease the neighbors. "We've cut back on our hours and we've also lowered the voltage of the lights so they will not be as bright with also lower the music," Mary Halliwell, who has built up the display with her family. But, the Halliwells are hurt that the neighbors didn't come to them before sending a petition. "Why don't we all put up lights? Let's really make it a neighborhood to really bring the people around," said Gene Halliwell. Those signing the petition declined to speak with FOX61. But, not all in the neighborhood are upset. "I love it," said Jim Smith, a Roasville Terrace resident, who has helped the Halliwells break down the display. "With all the kids coming and the people coming it doesn't bother me." The Halliwells don't charge admission but donations over the nearly two decades have totaled in the tens of thousands. All the money going to the Shriners Children's Hospital in Springfield.